Spring is in full swing on the summit and the wildflowers are making their splashes of color. 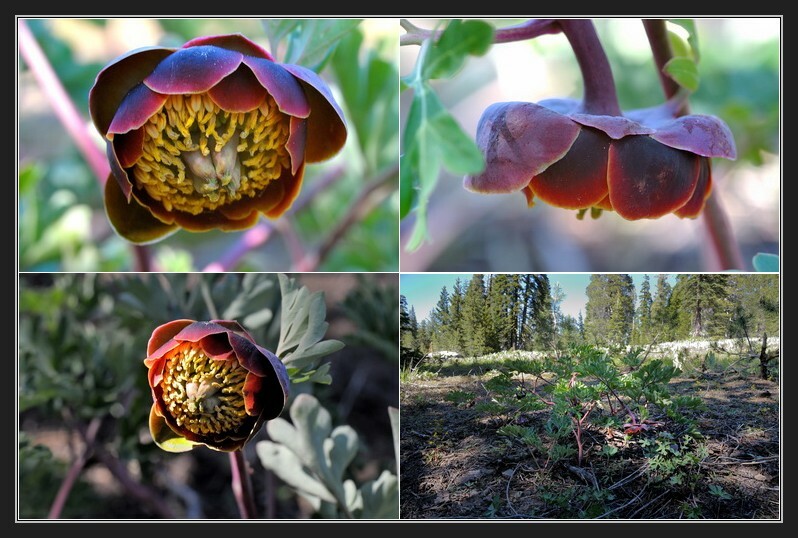 This week I found a couple of Brown Peony plants over near Beacon Meadow on the east side of Serene Lakes (many thanks to Anne Knudsen). This relatively rare plant is the only native peony of North America and these are the first ones that I have found up here on the summit.